Answer: As for the question of what is the incarnation and what is Christ, you could say, this is a mystery of the truth that no believers understand. Though believers for thousands of years have known that the Lord Jesus is the incarnate God, no one understands the incarnation and the actual substance of the incarnation. Only now that Almighty God of the last days has come, has this aspect of the mystery of the truth been revealed to man. Let’s see how Almighty God puts it. 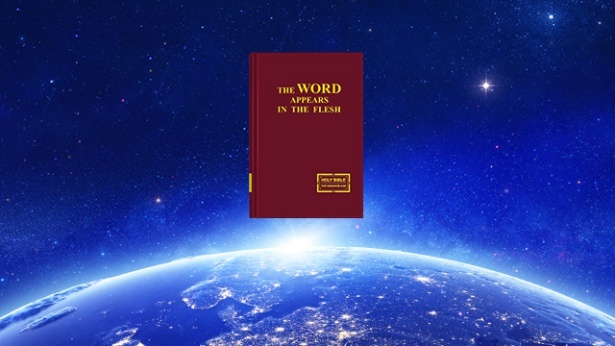 Almighty God says: “The meaning of incarnation is that God appears in the flesh, and He comes to work among man of His creation in the image of a flesh. So, for God to be incarnated, He must first be flesh, flesh with normal humanity; this, at the very least, must be true. In fact, the implication of God’s incarnation is that God lives and works in the flesh, God in His very essence becomes flesh, becomes a man.” “The Christ with normal humanity is a flesh in which the Spirit is realized, possessing normal humanity, normal sense, and human thought. ‘Being realized’ means God becoming man, the Spirit becoming flesh; to put it plainly, it is when God Himself inhabits a flesh with normal humanity, and through it expresses His divine work—this is what it means to be realized, or incarnated” (“The Essence of the Flesh Inhabited by God” in The Word Appears in the Flesh). “The incarnate God is called Christ, and Christ is the flesh donned by the Spirit of God. This flesh is unlike any man that is of the flesh. This difference is because Christ is not of flesh and blood but is the incarnation of the Spirit. He has both a normal humanity and a complete divinity. His divinity is not possessed by any man. His normal humanity sustains all His normal activities in the flesh, while His divinity carries out the work of God Himself. Be it His humanity or divinity, both submit to the will of the heavenly Father. The substance of Christ is the Spirit, that is, the divinity. Therefore, His substance is that of God Himself; this substance will not interrupt His own work, and He could not possibly do anything that destroys His own work, nor would He ever utter any words that go against His own will” (“The Substance of Christ Is Obedience to the Will of the Heavenly Father” in The Word Appears in the Flesh). From Almighty God’s words, it is clear The incarnation means God’s Spirit is realized in the flesh. God’s Spirit is clothed with a flesh and becomes an ordinary Son of man to bring His word and work on earth and appear to man. Which is to say that God in heaven has become man to speak, do His work, redeem and save man within the human world. He has both normal humanity and complete divinity. From His appearance alone, God’s incarnation seems just like an ordinary and normal human being. He has the same rules of life and participates in the same activities as any other normal human. He is possessed of emotions just like any other normal human: He lives practically and realistically within the company of men. From His outward appearance, He doesn’t seem different than anyone else. But the true substance of the incarnate God is divinity. He can express God’s disposition, all that God is and has. According to man’s needs, He can express truth to supply life and save man at any time and place. He can do the work of God Himself, that which nothing else in all of creation is capable of. We all know that the Lord Jesus is the incarnation of God, is Christ. From His outward appearance, He seems just the same as us, just an ordinary and normal person. Yet, the Lord Jesus can express the truth and provide man with the way of repentance. He has the authority to pardon man of his sins and be crucified to complete the work of the redemption of mankind. No man is capable of this. The Lord Jesus can also perform signs and wonders. He can calm the winds and sea, feed five thousand men with just five loaves of bread and two fishes, and resurrect the dead, etc. The Lord Jesus also went far and wide to preach. According to man’s real needs, He expressed the truth to supply life and shepherd man at any time and any place, allowing man to see how His words and work were those of the real and practical God. The Lord Jesus’ words and work are a manifestation of God’s life disposition and all that God has and is. No created humans are possessed with this or are capable of reaching such attainments. This is proof that the Lord Jesus is the incarnate God. Though He has normal humanity, His substance is divine. As such, He is capable of expressing the truth and God’s voice. He can work as God to do God’s work. So, if we were only to see Christ’s normal humanity, we would be apt to treat Him as an ordinary person; but if we were to realize that all that Christ says is the truth, that all He manifests is God’s disposition and all that God is and has, and see the doings of God within the flesh, only by reaching this level would we come to know the divine substance of Christ. It’s crucial to us believers to know the divine substance of Christ! If we do not recognize the divine substance of Christ, we’ll just take Christ for an ordinary person and will even treat the prophets and apostles which God uses as God Himself. This is no small issue! So now let us commune on the difference between Christ and the apostles and prophets used by God. 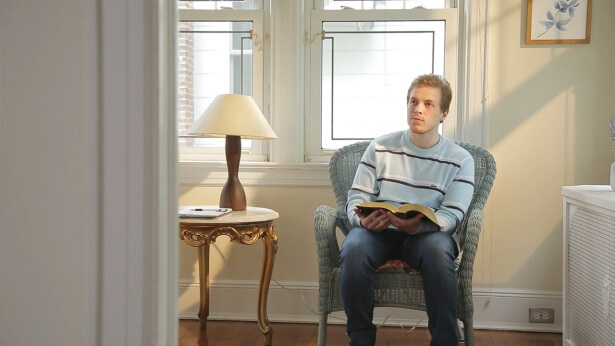 Everyone knows that in outward appearance, God’s incarnation has normal humanity and is an ordinary and normal person, Everyone knows that in outward appearance, God’s incarnation has normal humanity and is an ordinary and normal person, but in actuality, He is God’s Spirit realized in the flesh, He is divine in substance. That is why He is able to do the work of God Himself, expressing the truth, God’s disposition, will and demands of mankind at any time and any place. He can judge, expose, and even curse man, just as He can redeem, purify, and save man. The prophets and apostles are men whom God uses. They only possess normal humanity, but lack God’s divine substance. As such, they are only capable of doing the work of man. In God’s management plan they can do nothing more than fulfill human duties. None of them can express the truth, much less do the work of God Himself. Though their communions are endowed with the Holy Spirit’s enlightenment and illumination and are in keeping with the truth, they are not the truth itself, but just an expression of their understanding and experience of God’s word. If we consider the apostles of the Age of Grace, what they communed was mainly an expression of their understanding and experience of the Lord Jesus’ words and work, they represented a testimony of experiencing God’s work. When we look at the epistles of the apostles, we can see that they are clearly written by men, they are discourses on their experiences and testimony. Not a single word of these epistles contains the truth which God expresses. Not a single word of these epistles contains the authority and power of the Lord Jesus’ word. Actually, when the prophets express God’s word, they are only doing so because they have been ordered by God to convey His word. The prophets cannot express God’s word using God’s identity, they cannot speak in the first person. They also are unable to express the truth at will. This is because they are merely men whom God uses, they are not God themselves. They are just delivering God’s word and that which they are able to deliver is very limited. So, when the prophets deliver God’s word, they state clearly that they are speaking the word of God, it is not their own word. As we can see, the words of the apostles and those of the Lord Jesus are vastly different. We can not view them in the same light. All this proves that the prophets and the apostles are merely men whom God uses, they are not incarnations of God. God’s incarnation can be called God because He has divine substance. The prophets and apostles have only humanity. They lack divine substance and, as such, can only be considered human. This is the difference in substance between God’s incarnation and the prophets and apostles. Previous：Question 1: You bear witness to the fact that the Lord Jesus has returned and has been incarnated to do His work. This I just don’t understand. We all know that the Lord Jesus was the incarnation of God. Having completed His work, He was crucified and then resurrected, appearing before all His disciples and He ascended into heaven in His glorious spiritual body. Just as the Bible says: “You men of Galilee, why stand you gazing up into heaven? this same Jesus, which is taken up from you into heaven, shall so come in like manner as you have seen him go into heaven” (Act 1:11). So, biblical scripture confirms that when the Lord comes again, it will be His resurrected spiritual body appearing to us. 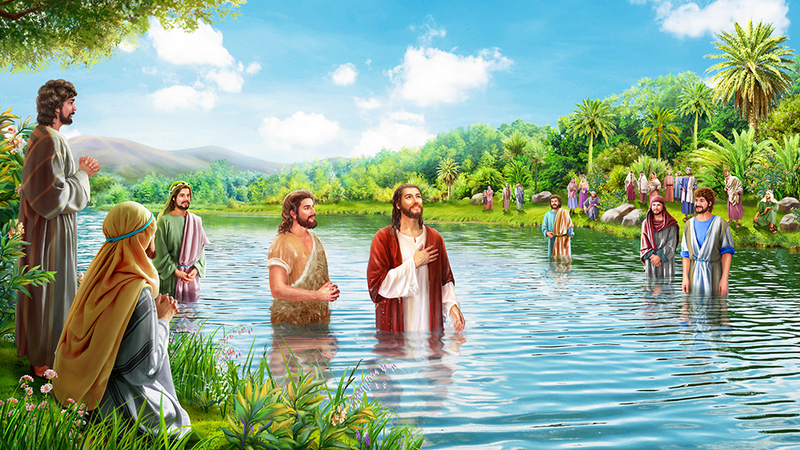 In the last days, why is God incarnated in the fleshly form of the Son of man to do the work of judgment? What is the difference between the resurrected spiritual body of the Lord Jesus and His incarnation as the Son of man? Next：Question 3: The Lord Jesus in whom we believe is God’s incarnation. 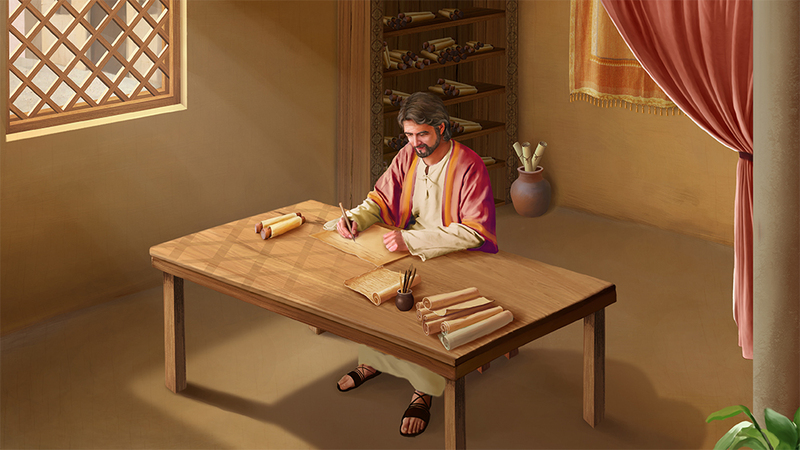 The Lord Jesus did God’s work of redemption, no one dares deny this, but this Almighty God in whom you believe is not necessarily God’s incarnation, because there is no record of Almighty God in the Bible. So then, the pastors and elders of the religious world all say He in whom you believe is merely a man, that you’ve been fooled. Only the Lord Jesus, in whom we believe, is Christ, is God’s Son!